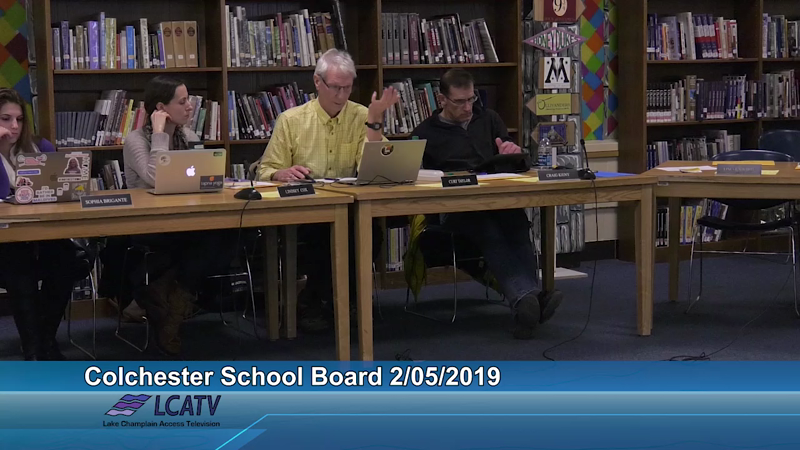 The Colchester School Board meets at 7 p.m. on the first and third Tuesday of each month at the Colchester High School Library on Laker Lane. Agendas and minutes are available at the district's website. For more information, call the Colchester School District at 264-5999.